It rained, it stopped raining, it rained again but the only constant was the boys from Brayden Removals they moved like clockwork and the effort they put in was tremendous & greatly appreciated by our family. To Wayneo, Greg & Tehnan thank you for your efforts. 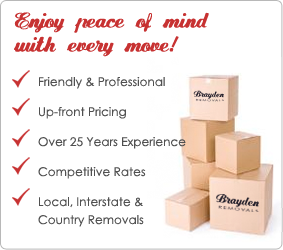 If you every need a professional movers look no further than “Braydens”.